You have the ability to bring joy and friendship to others. While you may not be a professional counselor or entertainer, with you around, who needs one? You bring so much rejuvenation to others. The way you do this is simple. It’s with your laughter, fun loving way, and ability to see the lighter side of life. Don’t forget to spread your happiness around! For you, it is vital to have an emotional attachment. With such a huge need for love, you can make a wonderful spouse and are always ready to forgive and admire your partner. They generally want to marry the best. They are not romantic as compared to other numbers like 2, 6, 7 and 8. They like to sexually dominate their partners. These qualities of Number 3 people are not very apparent; their partners realise them when they spend time together. Suitable careers: Natural vocations and careers for life path 3 are entertainers, dancers, actors, musicians, performers, beauticians, clothing designers, floral designers, cosmetologists, hostesses, salespersons, resort or club hosts, promoters, advertisers, imaginative writers, illustrators, photographers, kindergarten directors, boutique owners, caterers, social secretaries, jewelers or restaurant managers. 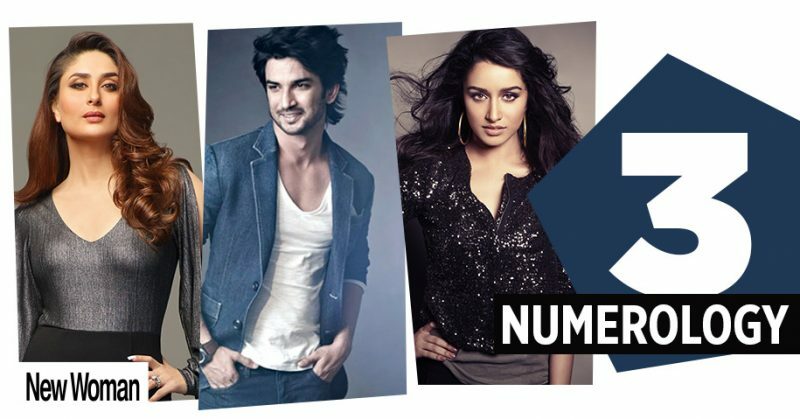 Famous faces: Kareena Kapoor Khan, Bhumika Chawla, Sushant Singh Rajput, Shraddha Kapoor, Rani Mukherjee, Shreya Ghoshal and Govinda are some of the celebrities who share your ruling number 3.